de notre future Collection disponible bientôt! Vous pourriez gagner le prix ci-dessous! Vous avez jusqu'au 30 juillet pour participer! of our upcoming Collection which will be available soon! You could win the following prize! You have until July 30th to enter! Wow, quel beau give-away. J'aimerais ça être la chanceuse!!! What a generous prize! I already follow you on Facebook and signed up to follow the blog by email! Thanks for having me around! Very awesome, Look forward to the new release. Thanks so much for the chance to win such an amazing prize. Love the interlocking loops and harlequin papers--- I've got my eye on the stencil too. Oooh, would love that darling bird! I already follow by email and now, also by FB. Thanks for the chance and looking forward to the new release. What a fabulous prize! Count me in! Thank you so much - I love everything! Thank you so much for the giveaway! I have been dealing with health issues the past few months and have not had the energy to craft and enter your challenges but hopefully I will have a day in July when I feel well enough to make something to enter. Love that little bird on the branch. Always love the DT's idea's too. Thanks again. Thank you for the wonderful Giveaway. I love Magenta. I would love to win such a lovely prize. I'm in. As always, beautiful cards and wonderful ideas. Would love to win the give away. awesome prize! I follow you on FB! Looks like another fantastic release coming up... thanks so much for the chance to win. Wonderful new stamps. Thanks for the opportunity to win. I love your stamps and Helene's artistry. I love the background that you created. So pretty and the stamp is wonderful on it. Merci de nous offrir la chance de gagner ce prix. What a fabulous giveaway. Love your stamps and have many in my collection along with some papers and chipboard pieces. I already follow you on Facebook and your blog. 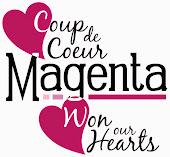 Love Magenta! Really pretty card. Looking forward to seeing you in Carson Ca again 7/12/14!! Wonderful giveaway. 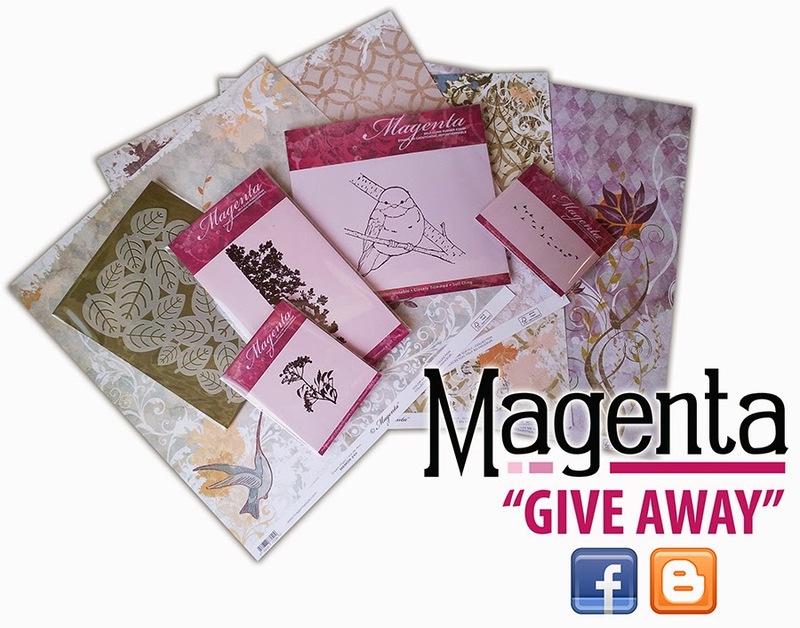 I love Magenta products and ideas! Love Magenta stamps!! I also added the Give-a-way announcement to my side bar. And, liked you on Facebook. Already a follower of the blog. beautiful give away! thank you for the chance. Wonderful giveaway - love it! Thanks for the chance to win this! all the best with the new line and wishing great success this year Magenta!!! I would love to win these products. Keep on creating beautiful products for us scrapbookers.... Suzanne M.
Beautiful collection! Definitely worth joining! 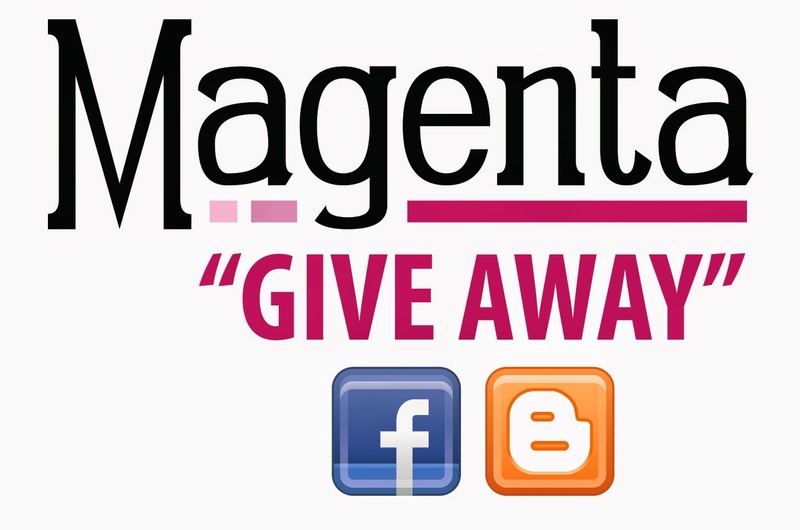 Thank you for hosting an exciting giveaway, Magenta! Crossing my fingers for these prize pack!